While craft beer has been a thing in other cities for years now, Barcelona was a bit slower than most to cotton on to the trend, but is now catching up in style. This industrial-style brewpub is housed in a massive space near Placa Universitat that really did used to be a garage, and is now considered a stalwart of Barcelona’s beer scene. They brew their own beers on the premises – you can see the vats of their microbrewery through a glass window at the back – including some great IPAs and stouts. And of course they also offer lots of different types of craft beer from Catalan and international breweries. 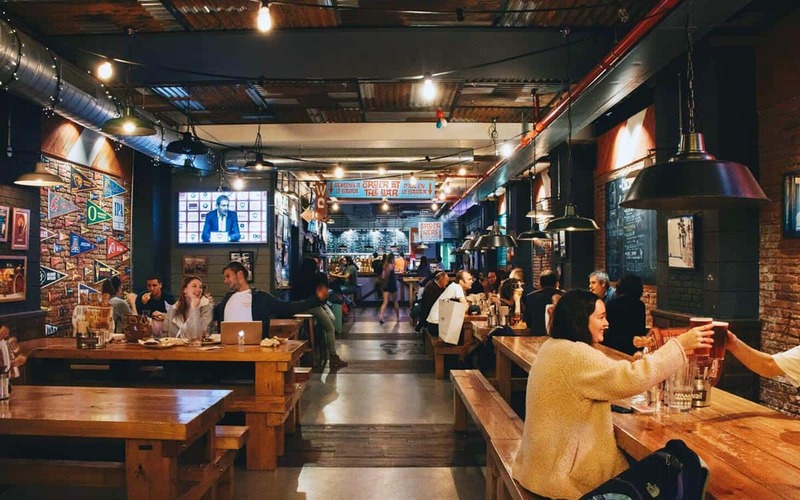 The vibe is very casual, with a mix of stools, trestle tables and low-slung seating usually occupied by a studenty, part-timer crowd – perhaps because the prices are pretty affordable when compared to some of the more expensive beer bars in the same barrio. If you’re peckish, you can order one of their pulled pork or porchetta sandwiches, or a plate of nachos. Your review of Garage Beer Co.